Salted Caramel Macarons filled with a Caramac Frosting – perfect delicious treat! It has been a good few months since I posted my first Macaron recipe – my Halloween Macarons – so I thought a new one, would be IDEAL. I realise that some people don’t understand Macarons, and to be honest… I don’t understand how they can cost seriously THAT much sometimes, but when you make them at home for yourself or others, you get the entire batch for a fraction of the cost! I decided to use some Sugar & Crumbs Icing Sugar to jazz things up a bit and settled on Salted Caramel as my flavour – partly because Salted Caramel is the bees knees, I believe its one of Sugar & Crumbs most popular flavours *I could be wrong here* and I have some leftover Caramac Cupcakes Frosting to use up – so the flavours were a marriage made in heaven! 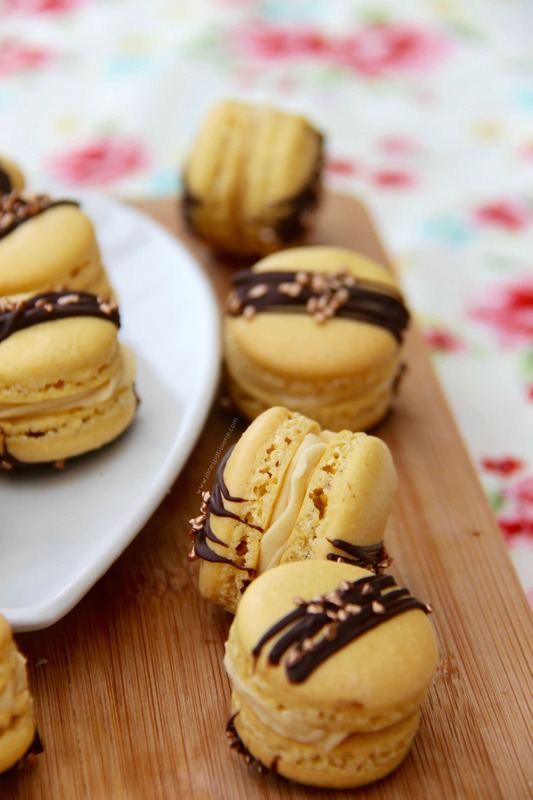 Macarons (Not macaroons) are actually a lot easier to make then first though – its a little matter of sieving the sugar & almonds, and making a meringue.. fold it together and you have a macaron mix! (Obviously – there are a few more details to the method than that) but that is basically the jist of it. Take your time, be confident, and enjoy them! 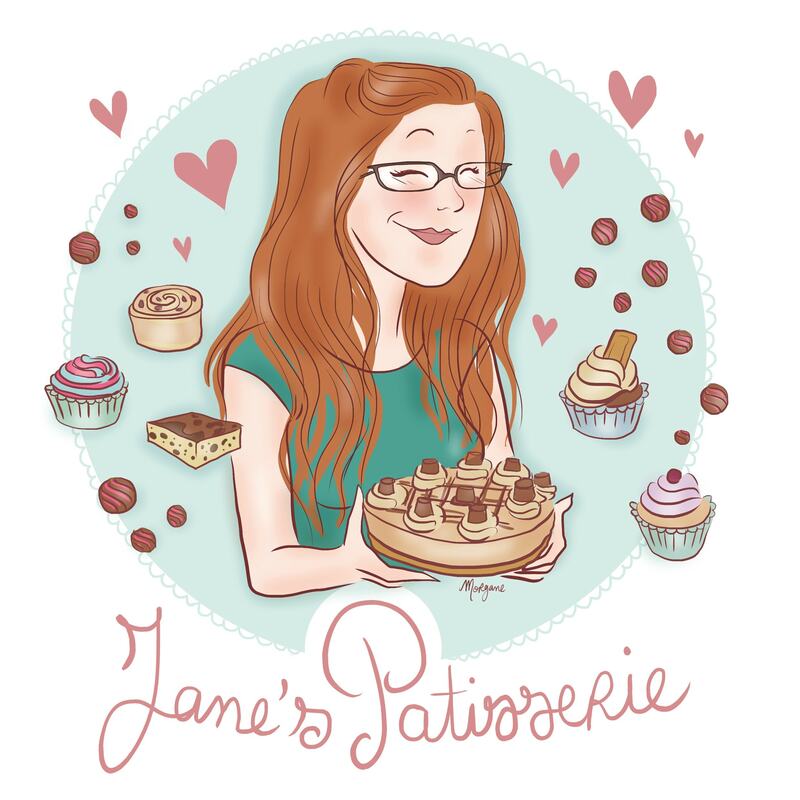 You can use normal icing sugar, whatever flavour icing sugar you like, add in some flavours, or colour them how you want, or decorate them how you want, etc! 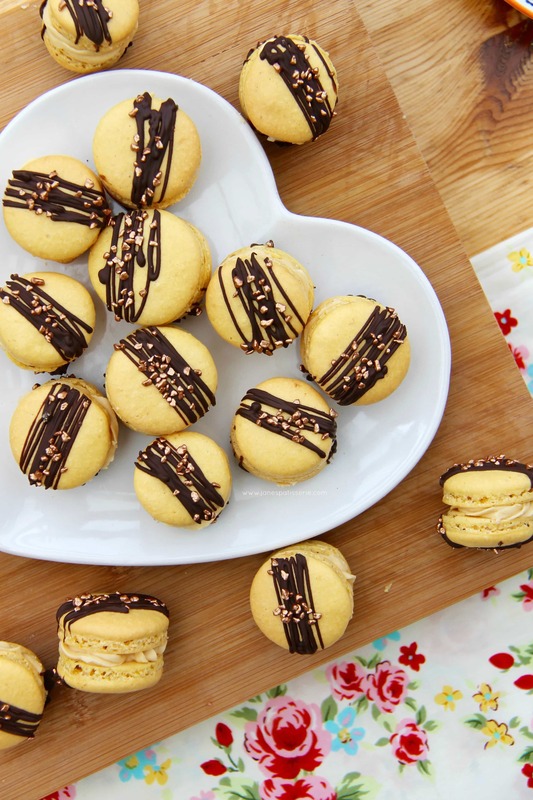 The possibilities with Macarons really is endless! How I get the ‘perfect feet’ on my macarons.. I use normal Baking parchment onto a large baking tray with circles drawn on for how big I want them! 🙂 I personally find the with Macaron Mats (as good as they are for sizing) they can sometimes stick.. so personally, I use baking Parchment with folding the mixture together as little as possible! – Leftover Buttercream – I used my Caramac Cupcakes frosting! 1) For the Macaron Shells – Sieve the Icing Sugar and Ground Almonds into a large bowl and leave to one side – its VERY important to sieve them! 2) Using an electric whisk, whisk up the egg whites until they’re thick and foamy and starting to form soft peaks – gradually add the caster sugar 1tsp at a time like you would a meringue, whisking in-between each addition fully, until all of the caster sugar is incorporated. 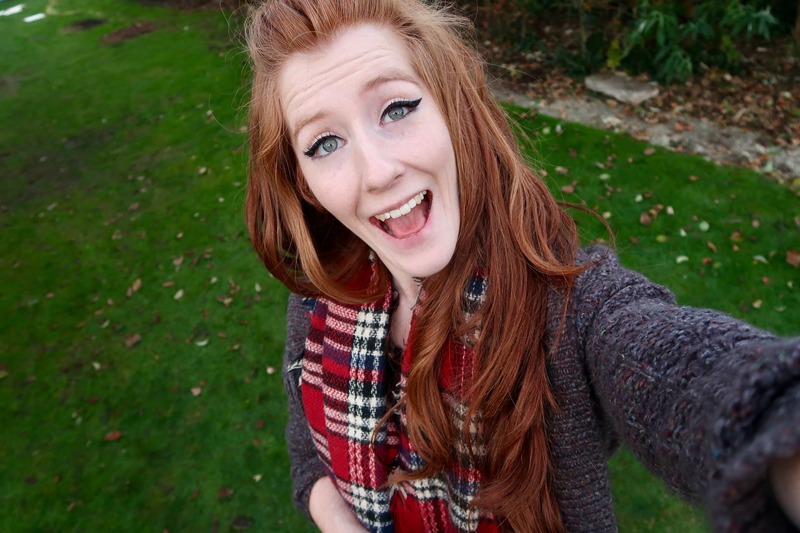 3) Once incorporated continue to whisk for 1-2 minutes, and start adding your food colouring! I used Wilton Golden Yellow & Sugarflair Amber Leaf colours to get the colour I did as its all I had on me! Keep on whisking for 3-4 minutes until its smooth and light! 4) Once finished, fold the mixture into the Sugar/Almond Mix – try to be gentle and use as little mixing as possible – I do mine in about 20 folds! 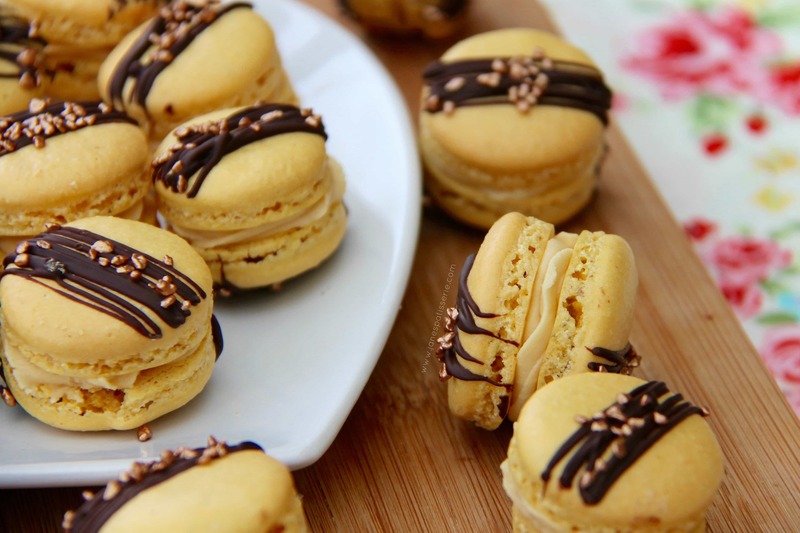 5) Using a Piping Bag and a 1cm Round Nozzle, pipe the Macarons either onto a Macaron Mat (about 2-3cm in size, with the same distance in-between them incase they spread), or a lined baking tray with parchment paper underneath! The mixture is quite runny, so be careful that it doesn’t go everywhere or you make the shells too big! I personally prefer using a lined baking tray as the macarons are MUCH less likely to stick once baked compared to a Macaron Mat! 6) Tap the trays onto the work surface several times so that you knock out the air bubbles and leave the Macarons on the side for ONE HOUR so that a skin is formed – this stage is important. 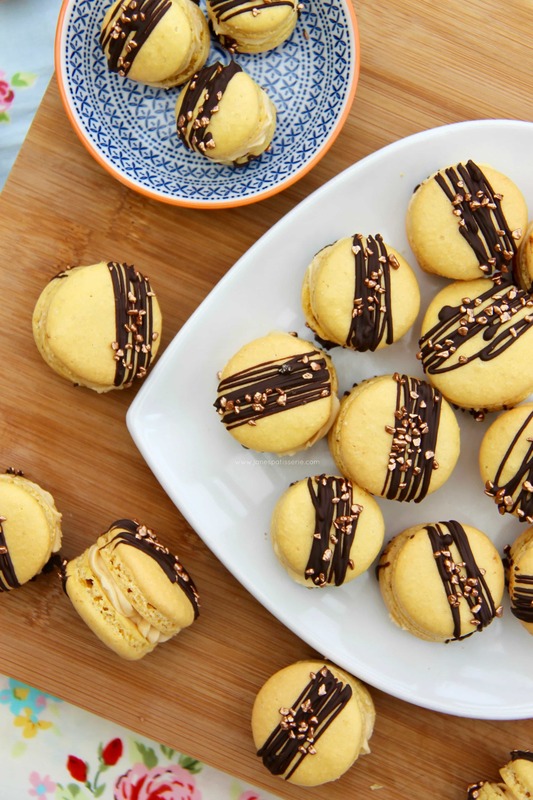 7) Preheat the oven to 130C and bake the Macarons for 16-20 minutes until they have risen to have their “feet” and are starting to peel away from the tray – leave them to cool fully before trying to remove them! 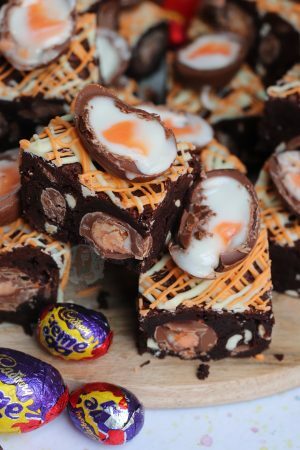 8) Once the shells have cooled – remove carefully from your trays and line them up – drizzle on some melted chocolate, and sprinkle with Sprinkles of your choice – leave to dry! 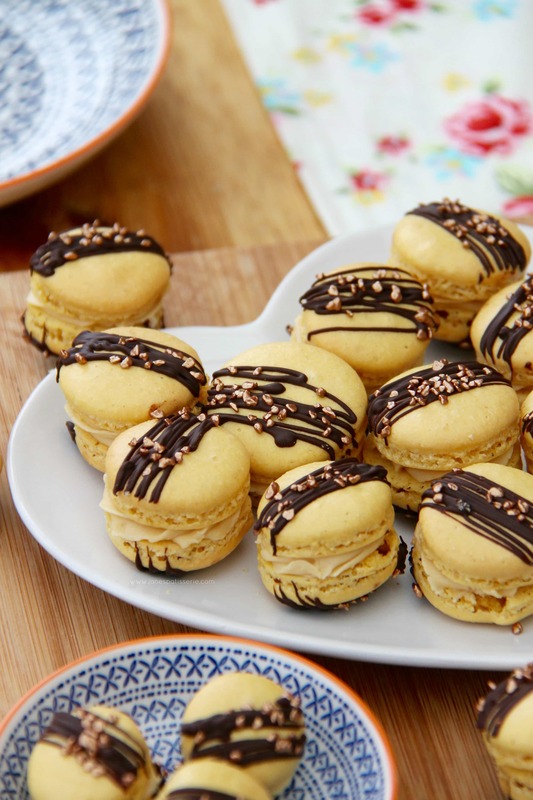 9) Once dry, pipe or spread on some of the Buttercream of your choice onto half of the shells and sandwich the Macaron Shells together form your classic filled macaron! I sometimes find that ‘Macaron Mats’ are harder to use than just parchment paper as sometimes they can stick – so I would recommend using parchment paper – but you can buy some with macaron shapes drawn on them already, or you can draw the circles yourself – or go freehand like me! 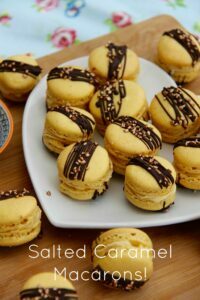 I used Sugar & Crumbs Salted Caramel flavoured Icing Sugar as I have wanted to try it out for ages – and the taste is lovely! But if you can’t access it, or just want to use normal ones – than normal icing sugar will do dandy! If you don’t have any leftover frosting/buttercream then you can easily make it with a butter-icing sugar 1:2 ratio i.e. 50g of unsalted butter to 100g of icing sugar. Find my other Cookie & Treats Recipes on my Recipes Page! 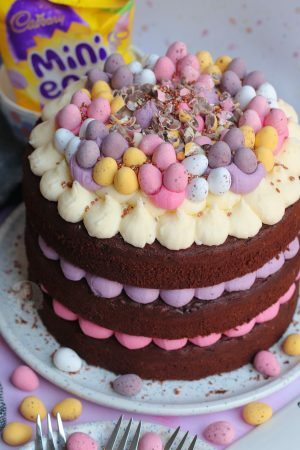 Older Next post: Mini Egg Cake! Newer Previous post: Coffee Cake! I just buy them from any supermarket! I have quite a collection as I bake so often! Ah! Thank you for posting this. I have tried macarons before and it went a little pear shaped sadly. Now thanks to your post and tips I think I’ve figured out my mistake ? Thank you so much! 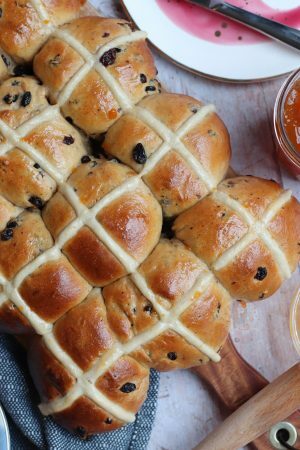 I hope my recipe & method work for you! Jane these look fantastic but you forgot to say how big they should be when you pipe them. Thank you! And thats because most people use macaron mats which already have a given size so its hard to say what size they should be.. about 2-3cm is good (but as it does say, the mixture is quite runny) so don’t put them too close together.